Here’s David Kaye in the studio recording voice overs for Last Week Tonight With John Oliver. The behind-the-scenes look is fun to watch as David works with producers to get it just right. David Kaye voiced a unique piece on Aaron Rodgers and the Green Bay Packers for Fox Sports. At 4-6 on the season, Rodgers said that his team would “run the table.” Using Coach Lombardi’s viewpoint, Fox Sports captures Rodgers’ grit and determination. Nice work David! 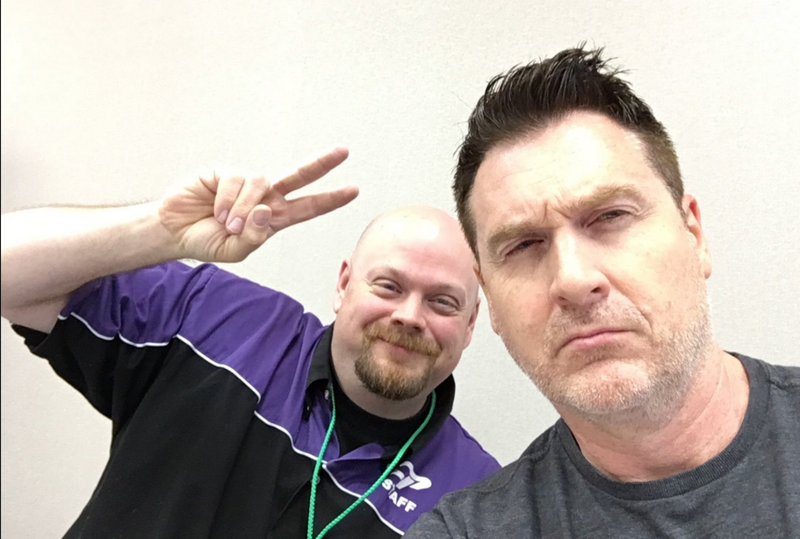 Along with being the voice of hundreds of animation characters, voice of countless commercials, video games, etc, David Kaye also provides a voice for hundreds of radio and television stations around the world. This clip is an introduction to an important special report for WCPO TV in Cincinnati. Here’s an in-studio video of David Kaye at work as he voices a promo for the documentary Gimme Danger about Iggy Pop and the Stooges. The movie was released in October, 2016. David Kaye voiced a recent Fox 45: segment titled “The Least Interesting Fan in the World.” The segment aired the weekend of November 26-27 on Fox. David Kaye won the Best Narrator award in the Audiobook Narration – Children’s Pre-School (Infant to 12) category at the 2016 Voice ARTS Awards. The award was for his work on The Cat’s Maw – an audio book by Brooke Burgess. Held in Los Angeles on November 13th, 2016, the Voice Arts Awards are an open competition held by The Society of Voice Arts and Sciences. Here’s a video of David and Brooke Burgess working on the audiobook. Miss Sloane, starring Jessica Chastain, is a soon-to-be-released movie about political power and the struggle to win at all costs. David Kaye voices the new trailer. The movie will hit theaters in early December, 2016. David Kaye is the voice of a trailer for the new game from the Batman: The Telltale Series. The game is a point-and-click adventure video game based on Bob Kane and Bill Fingers’ Batman comic book series. David Kaye is the voice of a new TV spot for the move Denial. The movie is based on a true story about an American historian and professor who was sued for libel in Britain by Holocaust denier David Irving. Irving claimed the Holocaust never happened. The movie features Rachel Weisz as the historian and Timothy Spall as David Irving. Denial is in movie theaters now. David Kaye is the network voice for Get TV. Owned by Sony Pictures Television, Get TV features a mix of classic television programs and feature films. Find your favorite action, crime, comedy and western TV series and movies from all eras on Get TV. See a schedule at www.get.tv. David Kaye is nominated for a Best Narrator Voice Arts Award in the “Audiobook Narration – Children’s Pre-School” category for his work on The Cat’s Maw – an audio book by Brooke Burgess. 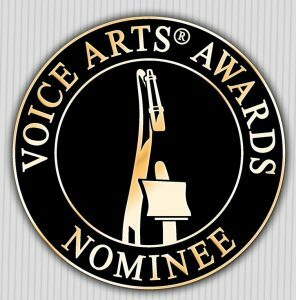 The Voice Arts Awards are an open competition held by The Society of Voice Arts and Sciences. Last Week Tonight with John Oliver won the Emmy for the Outstanding Variety Talk Series at 2016 Emmy Awards. David Kaye has been a voice over regular on the series. Congratulations! Here’s a “How Is This Still a Thing?” segment featuring David Kaye from 2015. The Cat’s Maw is a book by author Brooke Burgess. An audiobook version featuring David Kaye was released as well. A listener recently send Brooke an email:”Just finished listening to your book on audible. Figured it was a good read.. Might as well give it a listen… Gotta say, I listen to audible a LOT.. And the work your team put into that production was amazing.” Here’s a YouTube tease for the audiobook. David Kaye narrated a segment on journalism Last Week Tonight with John Oliver on the August 7,2016 episode. The segment is called “Stoplight” and depicts journalism movies of the future. Here’s a special treat for all of us David Kaye fans. Here’s a sneak peek at an upcoming featurette with David Kaye. The collage shows David versatility and range through a variety of cartoon characters he’s played. The collage runs just over five minutes and features such characters as Argus Fentonpoof from Scooby Doo, Megatron from Transformers and General Tandin from Star Wars. Enjoy! David Kaye at TFExpo 2016! David Kaye was a featured guest at the TFExpo 2016 on August 5th and 6th in Wichita, Kansas. David got to visit with Transformer fans attending the convention. David Kaye is the voice for the new Bad Moms trailer. Bad Moms is about a group of moms who join forces to liberate themselves from conventional responsibilities. The cast includes Mila Kunis, Kristen Bell, Kathryn Hahn, Jada Pinkett Smith and Christina Applegate. The movie is in theaters on Thursday, July 28th.